Tempting fate, a hapless witness to a robbery and murder takes the stolen money from the robbers’ stash to support himself and his daughter, Kate. Over her objections, they plan to head west separately to start a new life. Jake, a Pinkerton agent, traces the gold to Kate and her missing father. 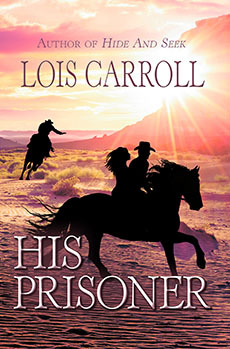 He holds her prisoner to force her to take him to her father and the loot. Jake intends to take him back to face charges and return the gold. Meantime the real robbers also trace the spent coins to Kate and her Father and start closing in to get their gold back. Jake now has two reasons to hold his prisoner close… real close. Her long skirt dragging in the dust, Kate Gleason trudged up the rutted mill-district road. Angry male voices shouting ahead stopped her. Her landlord and his huge henchman were yelling at her father. She ducked between two shacks before they saw her. Her heart raced with fear as she remembered the landlord’s strong hands on her. She shuddered at the thought of what he threatened to do to her if their rent wasn’t paid in full this week. 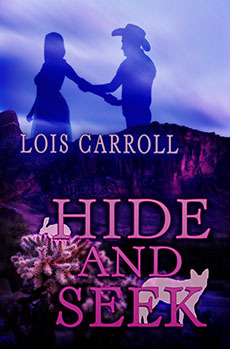 She didn’t move until after the evil men rode away and she thought it safe to continue home. But stepping back onto the road, she saw her father run across the dirt street and disappear between the houses across from theirs. Why was he racing away just when she was due home to fix his supper? Thaddeus Gleason stopped running well into town and pulled himself up straight against an alley wall to drag in deep breaths. He felt light-headed from so much exercise after not having eaten all day. He winced as a sharp pain shot across his shoulder blade. It was wounded when his landlord had shoved him against the door frame because he didn’t have the rent. Swallowing his fear, he wiped the nervous sweat from his forehead onto the worn sleeve of his jacket. He’d promised the greedy dolt to pay the rent tomorrow, but they both knew he would be asking his beautiful daughter for the coins. If it weren’t for her working long days at her job sewing rich ladies’ dresses at that fancy shop, they would have been evicted long ago. His hands fisted, and Thad had stood as tall as he could manage. “Never! I will have the money for you tomorrow, but you will never touch my daughter.” Knowing he should feel quite lucky that he still had his teeth and no broken bones after the confrontation, Thad only felt fear and worry over their fate. He had to figure out some way to get money, and now. As usual, he’d drunk up all he’d managed to earn this week at the mill. They only had part-time positions open now. The War Between the States had been over for ten years, yet there were still too many men wandering about looking for work. What chance did he have? No one in St. Louis wanted to hire an old farmer who knew nothing except how to raise crops and tend cattle. Ironically, he’d found solace at a trade district inn where a fellow could have a pint of ale in peace. They showed him respect and didn’t treat him like dirt. As long as he paid for his drinks, that is. Frowning at how his conscience pained him, he decided he would go to the pub for just a few minutes to ask if they’d heard of anyone hiring. Though if he were lucky, he might find someone willing to buy a pal a pint, too. The moonlight lit his way as his steps took him past shops that were already boarded up for the night. Kate would be home soon. He had to hurry. Glancing nervously over his shoulder, he realized he was the only man on the street. He quickened his steps, his worn shoes making little noise on the crushed stone and dirt street. Alarmed at hearing horses and a carriage approaching, he ducked into a narrow alleyway between two shops. He didn’t want a fancy-pants riding in the carriage to look down at him like he was a fly on their sweet-cake. Before the carriage passed, however, he heard the horses brought to a noisy halt and several men shouting in the street that he’d thought deserted moments earlier. Thad pulled his dark knit cap over his graying head and cautiously peered around the building. A sleek black carriage with an elegant gold painting on the side had stopped in the street. Two big men on horseback held guns pointed at the driver. One of them held tight to the bridle of the lead horse in the team. A third man on foot opened the carriage door and ordered the man inside to get out. All gussied up in a dark suit and vest with a stiff, white, high-collared shirt and crisp ascot, the man from inside stepped down and stood erect with his hands up. “Do you have any idea who I am?” he asked, his chin rising. The fat man on the horse laughed. He was dressed as poorly as Thad. 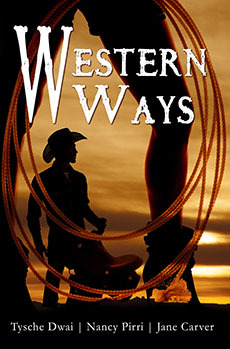 His shirt was worn through at the elbows, and Thad could see a hole in the sole of his boot over the stirrup when his horse nervously pranced sideways. His vest wasn’t near big enough to button. “Course we do. Now where is it?” the man shouted. “Where is what? I don’t know what you’re talking about, and I insist you release my horses and let me get on my way. I have a riverboat to catch,” the passenger said. He glanced up at the man driving the team of horses, but that poor soul sat with his trembling hands up, his eyes wide with fright. Thad could see he’d dropped the reins over the front rail and wouldn’t be a help to anyone. “Really, Timmons, is there nothing you can do right?” the fancy man asked. Not waiting for instruction, the slim man on foot jumped into the carriage and came out holding a canvas bag not much bigger than a loaf of bread. “I got it! I got it, and it’s good and heavy,” he shouted. He laughed and pranced around in a circle, holding the bag high over his head with both hands. “You put that back where you found it,” the passenger ordered, pointing inside the carriage instead of keeping his hands raised. The passenger lunged for the bag, but the slim man jerked around and leapt several feet away from him, the bag clutched tightly against his chest. Thad saw the gentleman from the carriage reach inside his jacket and pull out a small pistol. He never had a chance to shoot it though because the heavier man on horseback shot him right in the chest. The gun fell from the fancy man’s hand before he slumped to his knees and then keeled over face down in the dirt. The close shot frightened the team of horses. They jerked loose from the other man’s grip and bolted down the street. As they passed Thad, he saw that the driver had been thrown down in front of his bench seat, or else he was hiding there to save his own hide. The horses pulling the carriage, their eyes open wide and their nostrils flared, ran on totally out of control. “Shut up. It don’t matter now that we got it. We’ll be gone before they know where to look for us. Not even a Pinkerton man will be able to find us,” he bragged with a laugh. The other man on horseback dismounted and rolled the victim over on his back. “He dead?” the fat man asked. The other man nodded but said nothing. Thad could see now that he wore his dark hair in long braids that fell down his chest Indian-style. The two big men took off down the road and headed in opposite directions at the next corner. As they passed, Thad got a better look at the fat man whose big smile showed his rotten teeth. He had heavy brows, a big nose, and a cruel smile. Thad shivered. The man looked like he had enjoyed killing the passenger. Thad didn’t dare lean out from his hiding place to peak at the third man, because he heard his footsteps nearing. If the slim man saw him and knew that he had witnessed the robbery, he was as good as dead. What would his sweet Kate do then without her pap to watch out for her? In seconds, the man ran right past without seeing Thad. The air escaped Thad’s lungs in a rush. Peering around the building in the direction the man had run, he saw him turn onto the cemetery road that led to the big church up on the hill beyond the shops. From there it went straight to the cemetery. Licking his lips, Thad felt real thirsty. However, he was mighty curious too. It had to be money in the sack. But how much money was in the sack that they would shoot a man for it? He stepped out on the walkway and glanced back at the robbery site. No one had discovered the body yet, but he heard footfalls coming his way. Not wanting to be found near the scene of a crime, Thad ran. At the corner he turned up the cemetery road. Any light from the sun was gone, but the moon had risen. He could see that the slim robber hadn’t paused at the church but had kept running. Thad figured the cemetery had to be his destination. Following him through the wooden gates at a safe distance, Thad stepped off the road onto the grass to silence his footsteps. High enough to see most of the cemetery, Thad watched from behind a carved marble angel until the robber stopped. He dropped to his hands and knees and began clawing at the flowers on a grave. He left the blooms beside him in a heap. After creating a hole, he dropped the bag in and pushed the soil back to cover it. Topping the area with the flowers, he spread the extra dirt he had left in the pile around the edge of the mound. Apparently done, he rose and wiped his dirty hands on his pants. Suddenly, a cloud passed over the moon. For a minute or two, it was pitch black in the cemetery, making the robber curse. Thad could hear him picking his way back to the road from where he’d buried the loot. He cursed when he must have walked into a gravestone. As soon as the cloud moved beyond the moon and they both could see again, the man took off at a run around the church. When the footsteps stomping the gravel path stopped, Thad heard a horse whinny and then a horse gallop away. A horse tied at the far side of the cemetery had made his getaway easy. After checking for anyone else watching, Thad ran to the grave and ripped up the flowers without any concern for their welfare. He clawed repeatedly at the soft earth like a dog digging for a buried bone. Soon he felt the heavy fabric of the bag and yanked it free from its tomb. Brushing it off and shaking it to remove the soil that clung to the sturdy weave, he heard the clinking of coins inside. Disregarding the soil still embedded in the fabric, he stuffed the sack under his shirt for safekeeping and closed his jacket. Pressing against the bag with one hand to hold it silently in place, he ran for all he was worth. Cutting across the cemetery in the opposite direction from the robber, he came out on a street past the robbery site. He heard men’s shouts from that direction but continued toward the inn he knew. He needed a drink, and he had to see what was in the bag. Slowing his pace and trying to slow his breathing rate as well, he stepped inside. The smell of venison stew and years of spilled ale assailed him, making his empty stomach lurch. Swallowing hard, he moved away from the fire roaring in the fireplace. Slipping between the long tables, he kept his eyes averted. He didn’t want to attract any company to witness opening the sack. He chose a seat in the far corner, nowhere near the other customers. The barmaid came over to take his order. Confident he could pay for it with coins from the bag, he asked for a tankard of dark ale. After her back was turned to go fill his order, he slipped his hand inside his shirt and tugged at the leather strip that held the sack shut. He loosened the tie enough to get two fingers inside. The coins all felt all the same goodly size, so he pulled just one out and tugged the ties tight again. Looking around to see if he’d drawn any attention, he closed his jacket over the bulge in his shirt and leaned back in his chair. The coin nearly burned a hole in his fist as the girl returned too quickly with his ale. He thanked her and unfortunately caught the eye of one of the men drinking with two others by the fire. “Damn,” he muttered under his breath. He looked away but not quickly enough. All three of the men were coming over to join him. Any other time he would have welcomed their friendly companionship. He gulped down half his ale to fortify himself. His empty stomach cramped around the foaming contents. The men laughed. “Ready for another round, gents?” the barmaid asked. “No, no, not me,” Thad insisted immediately. “I gotta git home. Just came in for a quick one.” His stomach be damned. He picked up his glass and downed the rest without stopping. “Then you’ll be wanting to pay for that ale now,” she said, holding out her hand. She wasn’t about to let anyone stiff her. Prepared for the worst but hoping for a miracle, he turned his fist palm up and opened his fingers slowly. All eyes were on his hand. They widened as they saw the prize glittering on his muddy hand. “I’ll be damned,” Whitey whispered. “Nah, couldn’t be. What’s he doing with gold?” the barmaid put in. The trio on the far side of the table laughed. “Not necessary to make a fuss over my good fortune,” Thad insisted, edging his way past her, his hand still over the sack of coins to be certain his booty stayed in place. “I must leave now though. My daughter should have supper on the table. I trust you all can put this coin to good use. Drinks all around are on me as long as this lasts,” he shouted, stepping even closer to the door. A cheer went up from the eight or nine men seated around the room. In the rush and confusion of men calling out their drink preferences while trying to catch a glimpse of the gold coin, Thad slipped out of the inn and took off at a run. He headed down a different street so he could circle wide around the site of the robbery. He ran as much of the way home as he could, though his legs felt on fire and a stitch in his side cramped as if he’d been stabbed with a red hot poker. But Thad was too frightened to stop. Finally reaching his porch, he saw the lamp was lit inside and smelled the stew that Kate had ready for supper.